Solving the problem of congestion is usually a top priority for city authorities, who note that congestion not only causes air pollution, but also decreases quality of life and imposes significant economic costs, especially in rapidly growing cities. Although different cities have developed different solutions for dealing with the problem of congestion, few have successfully solved it. Mostly cities come up with ad hoc measures for dealing with congestion, like constructing more roads, bridges and highways, which paradoxically spur more car ownership and, hence, more congestion. To date, the most effective measure to reduce congestion is something called congestion pricing, a type of road pricing put in place during specific times and locations, namely the most congested areas during peak times like rush hour. The pricing scheme is used to encourage travelers to shift to other travel times, routes and modes of transit. Congestion charging rates are flexible and can differ according to the type of motor vehicle, and can either be a flat rate or updated regularly to reflect the prevailing traffic conditions. 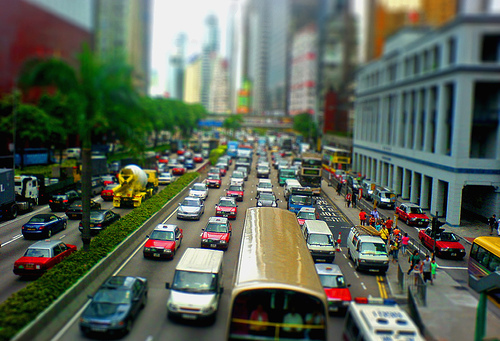 Although congestion pricing is not a new concept (it was first implemented in Singapore in 1975), it has not been widely adopted due to various political, technical and economic reasons. However, the positive results from congestion pricing are considerable, as seen in the cities that have implemented this pricing policy. London, Singapore and Stockholm all use congestion pricing as a tool for fighting congestion, experiencing significant reductions in traffic during peak hours, reduced travel time, lower transport emissions, including CO2, as well as increased traffic speed, higher levels of safety, and greater revenue for cities, which can be used to improve mass transit. Traffic volume decreased by more than 50% and 25% when pricing was first introduced in Singapore and Stockholm respectively, while congestion dropped by 30% within the charging zone in London. Since travel time lost in congestion and other associated externalities are often not captured and paid by motorists, that is, the ones who cause the problems, the implementation of an effective pricing policy will be able to internalize such external costs. It’s also important to note that access and mobility should never be denied. So it’s crucial to complement a congestion pricing scheme with a public transport system that is affordable, efficient, safe, clean, and comfortable so that people have an alternative way for arriving at their destination.